Season four of the hit drama Better Call Saul is now streaming – only on Stan. Join today. “Better Call Saul” is inching closer the “Breaking Bad” timeline in season 4, and it just keeps getting better. 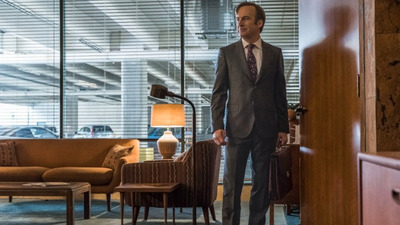 Jimmy McGill’s slow transformation into Saul Goodman is becoming more clear, but the show is still one of the best on TV on its own terms. Rhea Seehorn steals the show as Kim Wexler. Even if you aren’t familiar with “Breaking Bad,” “Better Call Saul” is worth checking out. But fans of “Breaking Bad” are in for a treat. “Better Call Saul” is a product of a different time in television. It fits nicely into the current “peak TV” era as a prestige drama, but even the shows that kick-started that small-screen trend – “Breaking Bad,” “Mad Men,” etc. – would feel like relics if they aired today. It wasn’t that long ago that those shows ended, but a lot has changed since. TV has largely given up on the male anti-hero protagonist that was so common throughout the early years of peak TV, from Walter White to Don Draper to even Frank Underwood. As a prequel to “Breaking Bad,” the show has managed to carve out a place for itself in the modern TV pantheon. That’s no easy feat, considering not only how the landscape has changed since “Breaking Bad,” but the bar that show set. At a time when audiences are attracted to blockbuster shows with big ideas like “The Handmaid’s Tale” and “Game of Thrones,” “Better Call Saul” doesn’t exactly match up with that kind of scope. But that’s ok. “Saul” is still one of the best shows on TV. It’s anchored by the promise of “Breaking Bad,” and season 4, which premiered on Monday with an episode titled “Smoke,” will please fans of that show as “Saul” inches closer to the “Bad” timeline. But it’s also just a stellar drama in its own right. In the three episodes I’ve seen, it’s clear that Jimmy McGill is well on his way to transforming into the sleazy lawyer known as Saul Goodman. His brother Chuck is dead and he’s out of a job. It’s nerve-wracking to witness Jimmy’s slow spiral. For three seasons, there was still a sliver of hope for Jimmy, even for those familiar with the “Breaking Bad” character who knew that his descent was inevitable. But in its fourth season, it’s clear that this is the beginning of the end. Bob Odenkirk, who plays Jimmy, captures that shift with ease. Saul always had a certain charm to match his arrogance on “Breaking Bad,” and Odenkirk’s performance has added another layer to that in “Better Call Saul.” Jimmy is likable and sympathetic, even when he’s doing things that range from questionable to terrible. But Jimmy is now in a weird in-between period where he’s still the likable Jimmy McGill but stepping closer to Saul Goodman, and Odenkirk captures that. In the season premiere, Howard (Patrick Fabian) admits to Jimmy that he feels responsible for Chuck’s death, and that he believes Chuck committed suicide. Jimmy knows that he was a horrible brother to Chuck, and his lies ruined Chuck’s career, but he still tells Howard, “That’s your cross to bear.” It’s one prime example of where we can see Jimmy’s transformation coming into focus. “Better Call Saul” isn’t just great because of Jimmy McGill, though, and that’s why it has managed to step out of “Breaking Bad’s” shadow. Rhea Seehorn, who plays Kim Wexler, already deserves an Emmy for season 4, even if the show isn’t eligible again until next year (it didn’t premiere in time to be eligible for this year’s Emmys). Kim has always been one of the best parts of “Better Call Saul.” She’s often the voice of reason, and Seehorn gives a powerhouse performance this season. Since Kim isn’t in “Breaking Bad,” one of the biggest mysteries surrounding “Saul” is what happens to her and her relationship with Jimmy. I pray she gets a worthy send-off, whenever that may be. But even if the show is good on its own terms, it’s still a prequel, and the “Breaking Bad” elements are a big reason why many watch the show. Jimmy’s relationship with Chuck was the focal point of season 3, and was even more interesting than the faster-paced “Breaking Bad”-esque drug storyline that centres on Mike (Jonathan Banks), Gus (Giancarlo Esposito), and Nacho (Michael Mando). With Chuck gone, and “Saul” getting closer to “Breaking Bad’s” timeline, the “Breaking Bad”-inspired parts of the show are becoming a greater focus. Fans of “Bad” are in for a treat in that regard. The show has a knack for making even the most mundane tasks seem thrilling, and it almost always involves Mike. In the season 3 premiere, we saw Mike meticulously tear apart his car to look for a tracking device. In the season 4 premiere, we follow along with him as he inspects a company’s security. Banks is a joy to watch. 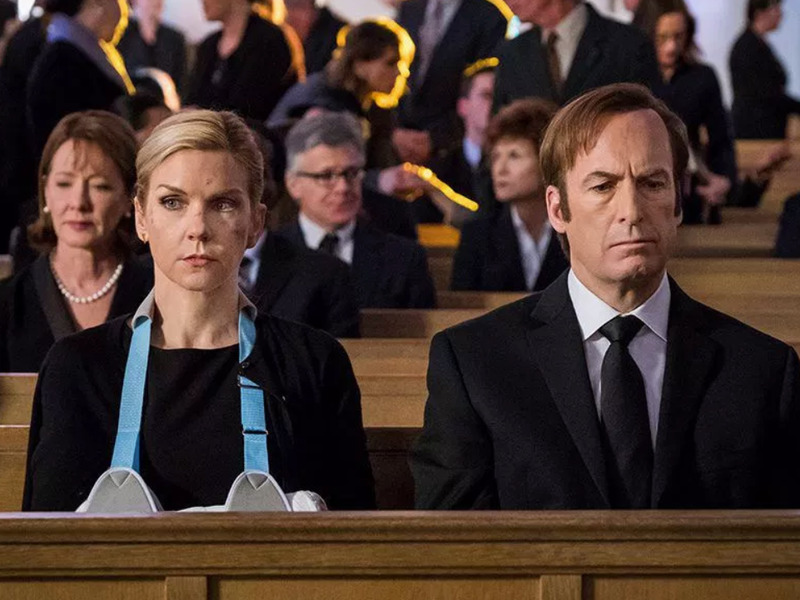 “Better Call Saul” may have already been renewed for a fifth season, but it’s still barrelling toward the end – and it just keeps getting better. When it’s all over, “Better Call Saul” will be one of the best television shows of the decade. Whether you’re a “Breaking Bad” fan or not, it’s worth checking out.